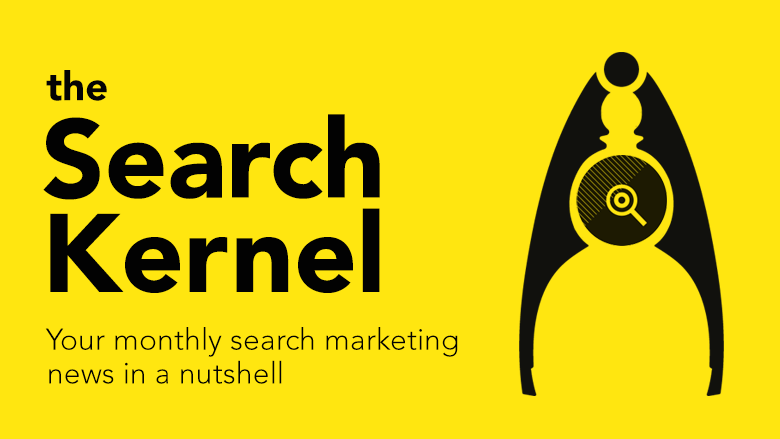 Welcome to the Search Kernel, Further’s Search Marketing round-up for March 2017. Search is a tough nut to crack, so on the last Friday of each month we’ll be using our digital nutcrackers to get to core information. It’s been another busy month in the world of search marketing. The next update will be on April 28th. By this point our marketing brains will be full with a wealth of information from the insightful BrightonSEO event. Not the latest kernel? Click here to see the most recent Search Kernel. So what’s happened in SEO this month? I refuse to add ‘Fred’ to the heading above – this being the name which Gary Illyes claimed every future update should be called. Algorithm names aside this update seemed to span a whole week of fluctuations according to the Algoroo tracking tool. Perhaps, this being Google’s SERP testing period during the roll-out. Hints as to what to this update targeted were varied, some highlighted this was aimed at low quality page content and others stating low quality links. Was the unnamed update a mobile-first index test? Other speculation covered whether this was linked to the upcoming mobile-first indexing changes. While possible, Mr Illyes, confirmed that was still “months away” at SMX West, also stating that Google was aiming for a “quality neutral” launch to avoid SERP disruptions. Additional reports from the event state that mobile site-speed may be an at-launch ranking factor. I’m sure Google will give updated guidelines in before the upcoming update. With site speed correlating strongly with conversion and user satisfaction, there’s never been a better time to keep your speed within recommended guidelines. Google’s mobile-friendly testing recently emigrated to here, which provides actionable recommendations. You can find Google’s PageSpeed testing tool here. Read our first look on the mobile-first index announcement. On March 14th, Google updated its search quality evaluator guidelines (PDF). The PDF was originally released back in 2015, which was busied along following a leak of an internal evaluator guidelines document. Google’s rating signals benefits pages in which the main content (‘MC’ as Google shorten it) satisfies the user in terms of Expertise, Authoritativeness, and Trustworthiness. So it’s important to the feed the bot and users well. Google also treats YMYL (your money or your life) pages differently too, making it important that you’re providing users with the right pre-purchase information, avoiding deceptive practice. Also with mobile being a strong focus too, ensuring that mobile content is matched, intent-rich and structured data specifications are improved. More importantly than ever, as previously stated, ensuring content is catering to the needs of users, which can be increasingly different across each country. Especially where alternative search variations are conducted across varying proportions of device type. Google’s announces plans to filter offensive content from search, this update being timed closely to the issues surrounding YouTube videos, which made the news. Read Alise’s contribution in the Paid section. “DYK usually when you see more than 2 results from the same site in the SERP, that’s because other results score much lower for the query?” Source. “DYK that you can rank well with short content, too? Long form content is not always the answer. Source. Hot off the press, Google has announced an update to its Site Status Report tool. User security is an important area for Google’s reputation, with webmasters continuing to migrate to HTTPS protocol. Google’s campaign is succeeding, with 53% of pages loading HTTPS. What’s happened in Paid Advertising this month? … and it’s not the case of plurals anymore. According to the latest announcement, Google’s exact match keywords will extend its close variants to include word order mix-match as well as function words will now be automatically added, replaced or ignored by Adwords. One of the main concerns raised is regarding Google’s ability to keep the meaning of the keyword but according to the source, it will be designed to avoid such cases. Additionally, advertisers will now need to review their search query reports (SQRs) more frequently to avoid appearing for irrelevant searches and really work on their negative keyword list. There is quite a lot to take in on this update so please refer here for more information here. To start with, Google’s Call extensions are now available account level which will become particularly handy to advertisers that use one main number. 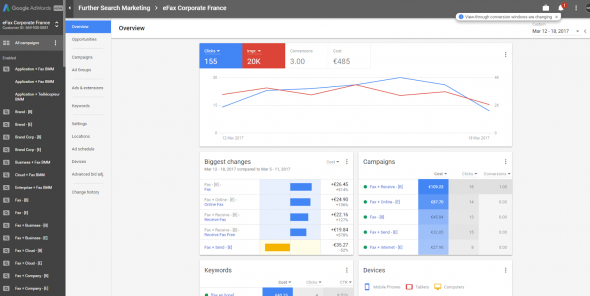 Next, we are soon to see new reporting columns for ‘Phone Impressions’ and ‘Phone Calls’ in the Adwords interface, reinforcing Google’s mobile focus. Last but definitely not least, automated call extensions are gradually rolling out to more advertisers, meaning, the phone numbers displayed on landing pages will now be automatically pulled as call extensions, if not opted out. 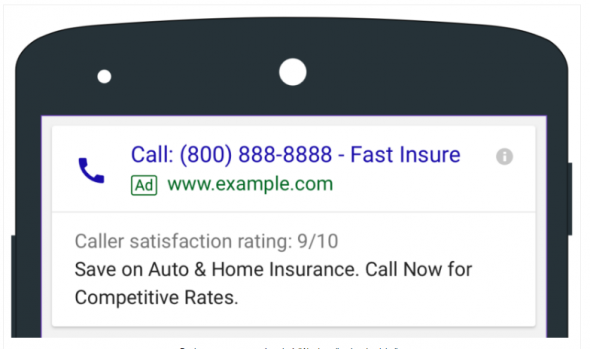 Additionally, Google is rolling out an additional feature within call-only ads – your business name that is now going to appear next to the phone number. On a smaller test scale, it has proven to facilitate conversions. Read more on Call extension and Call-Only ad updates here. Although this has been an expected and long-waited change, still when you open Adwords and see the new Alpha interface for the first time, it does make you feel like you don’t know where to put your eyes first! Having played around a little, there are already some clear bugs and but I’m certain these are just temporary (like, there is no Shared Library and Remarketing options available yet so still need to switch back to the old version). Overall first impressions – nice visuals for the overview graphs and navigation more similar to Google Analytics. Facebook has found another way to fill up the revenue tanks and this time, it’s by taking the advantage of the video boom that we’ve seen on Facebook. As such, Facebook has begun tests for mid-roll advertisements on publisher’s video that are longer than 90 seconds and/or on live videos. There is a concern that the engagement rates with videos would drop because of this. On Youtube, for instance, the minimum length of the video should be 10 minutes to allow such advertising which is considerably longer. So watch the space and rearm with patience! Google’s video platform – Youtube is being attacked by advertisers for not censoring enough and by creators for censoring too much. At the same time, there is another disgruntled community complaining about Youtube’s ‘restricted mode’ where apparently lots of LGBT content has been placed or simply removed from the platform which has raised concerns and dissatisfaction. Among the reasons for arriving to this is scalability (300 hours of video are uploaded every minute!!) as well as poor video categorisation. Clearly, manual content checks are not feasible here so Youtube has announced plans for developing new tools that would help to review videos more carefully.